Select cinemas will be using the audio track which has been optimised for the current crop of 3D movies. "For 40 years Dolby has not only provided content creators with the tools to create a more realistic audio experience, but has also enabled the exhibitor to deliver audiences the ability to experience the content as the creator intended," explained Page Haun, Senior Director, Marketing, Cinema Market Segment, Dolby Laboratories about the codec. "The release of Toy Story 3 in a discrete 7.1 mix will raise the bar for movie theatre owners and their patrons." While Dolby Surround 7.1 is said to give 2D movies a nice aural boost, it's on 3D content that the format comes of age as it has designed to be more immersive – matching the three-dimensional qualities of the footage. The 7.1 surround works by having four surround zones, which incorporates left surround and right surround and the all-new 'back surround left' and 'back surround right' zones. Within these 'zones' are eight channels of audio. 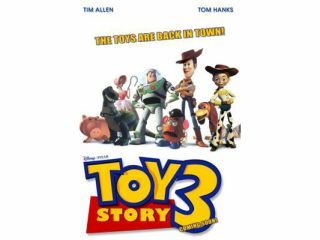 Toy Story 3 is out in the UK 23 June and will be accompanied by the short film Night And Day. The short is a bit of an experiment for Pixar as it features hand-drawn character which are filled with CG goodness.